Huge granny square blanket – finished! 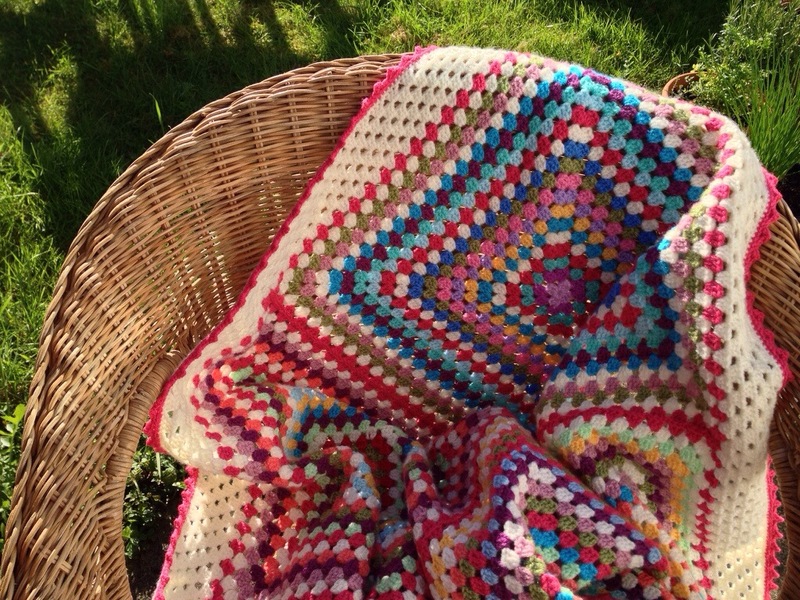 Otherwise known as the Tilting Granny Squares blanket! Sounds ridiculous, I know, but I didn’t actually notice the tilty nature of the squares until I’d crocheted about six. This was probably due to the cider and chat as I crocheted lots of them in pubs with other crochet and knitty folk. I was momentarily tempted to undo, or worse – throw them away – but then decided just to go with it. The end result is strangely pleasing. We really like the tilting! 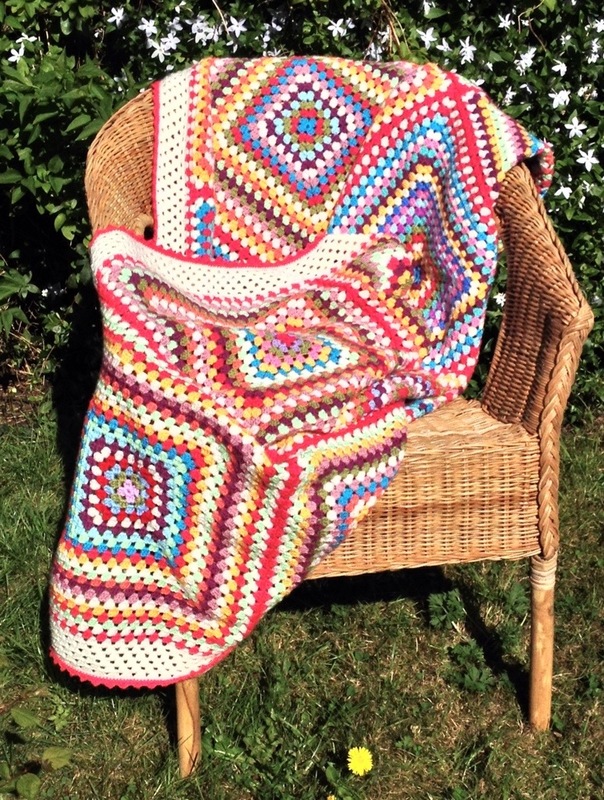 I Googled tilting granny squares and it seems it’s very common when you crochet many rounds, or make one of those blankets where they’re basically one huge granny square. 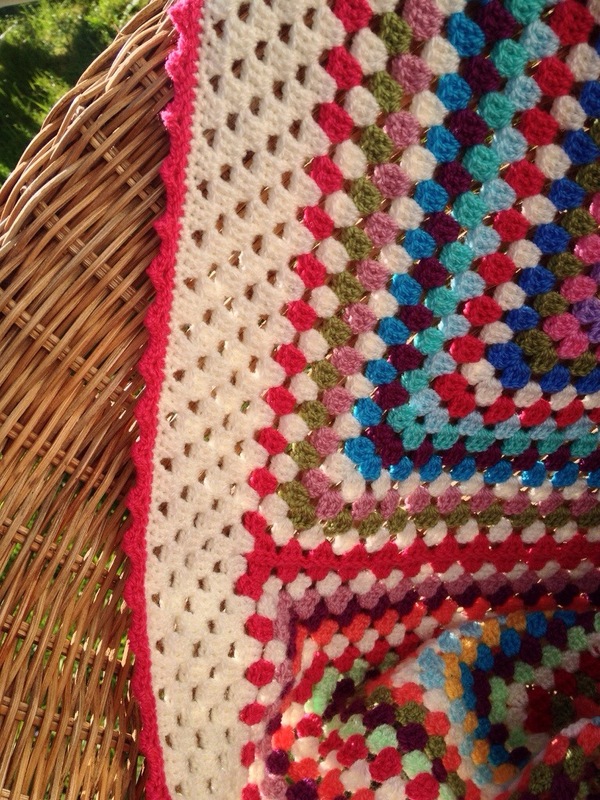 Have a look online at granny square blanket pics and you’ll begin to notice it a lot. I did wonder about making a Pinterest ‘Tilting squares’ board as I went, but thought some people might not be very pleased to see their work! Now I wonder if you see a photo of a blanket heaped on a chair, never spread out, then it might be hiding it’s tilty nature! I’ve spotted tilting target square cushions too. Tilting is thought to perhaps be down to tension. I reckon it’s more likely to just be the gentle drag of the hook as you repeatedly go in the same direction. One way to avoid tilting is apparently to change direction on every round. I asked a crochet and knitting designer and she said hers tilt too and it’s ‘just one of those things.’ On a forum I read someone had suggested you embrace it and make a feature out of tilting squares, and that’s what I decided to do. At first I considered laying them out so they tilted in the same direction per row, order in disorder, but ignored the thought and concentrated on colour placement of the squares. I joined the squares listening to the final chapters of this book . 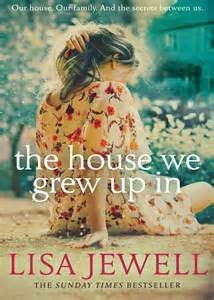 I was addicted to the story, completely engrossed. I wanted to use up all my odd balls of Stylecraft Special DK and I really didn’t ever intend to keep the blanket. I ordered the multi-coloured SS DK packs when I was new to crochet, now I want to choose my own combinations. I’d planned to give this stash busting blanket away, or maybe try to sell it. But with the tilting factor it’s so quirky and fun that it’s here to stay. Last night I felt chilly curled up on the sofa, so it’s been christened already. R1: Ch 3 (= 1 tr) 2 tr, 3 ch, 3tr, 3 ch, 3 tr, 3 ch, 3 tr, 3 ch around, join with a ss into 3rd st of ch 3. R2: Ch 4 (=1 tr, 1 ch) then in next chain space work 3 tr, 1 ch, work (3 tr, 3 ch, 3 tr) in corner, repeat around and then 3 tr, 3ch, 2 tr and join with a ss into 3rd st of initial ch 3. R3: Ch 3 (=1 tr) then into same space work 2 tr, 1 ch, repeat along edge chain spaces, (3 tr, 3 ch, 3 tr) into corner spaces. Join with a ss into 3rd st of initial ch 3. Repeat R3 until you have 20 rounds in total. Make a dozen 20 round squares, then join as you go using one colour to frame the squares. I think it looks ‘bare’ without a border. R9: Dinky pointy edge: * 1 ss into each of next 3 dc, then in next dc (1 dc, 2 ch, 1 dc) * Repeat from * to * around. I had noticed the tiltyness on some photos and wondered what caused it. Blanket looks great. Certainly looks a bit tipsy! That’s lovely! 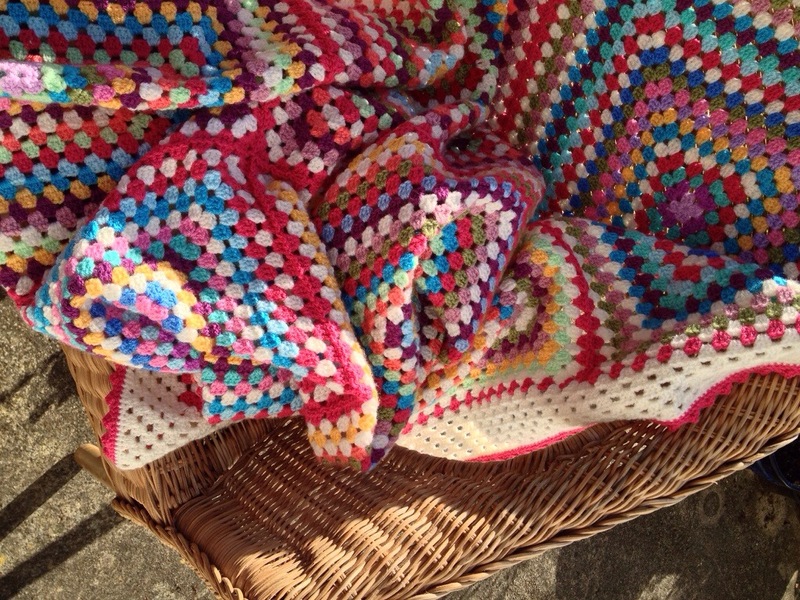 The first crocheted blanket I did was just one big granny square going round and round and round. That blanket has been so useful and it’s been everywhere with me. Yours is lovely and the tilting does look great, it looks like a pattern in it. Funnily enough so was mine and I don’t think that had a tilting middle, though it was in one colour so perhaps doesn’t show up so much. I must dig it out and have a look! I’ve never made a bit granny square. Interesting to learn about the tilting. Now I won’t be surprised if that hapens to me. :-) Lovely happy blanket. I’m told if you change direction it sorts the tilt out ie you have right and wrong side, crochet rows in the block! But I think it looks amazing! Well done! It’s definitely different! Thanks Nikki. Very pretty and such nice color choices! Thank you, the colours are mostly from the Deramores colour pack. It’s an eye catching combination! Looks beautiful, such lovely colours. Thank you. So many lovely comments. It’s easy, just going round and round but the drawback is all the ends! It’s definitely a large scale project starting a blanket. This has taken a while as I’ve picked it up in between other things, but that can be good as you’re not getting bored with making one thing. Thank you. They are a good combination. We could call this your Don Quixote blanket. It’s magnificent. It’s common but not a dead cert :-) I’ve just had the madness and tilting windmills explained to me, must read that classic. This is beautiful! 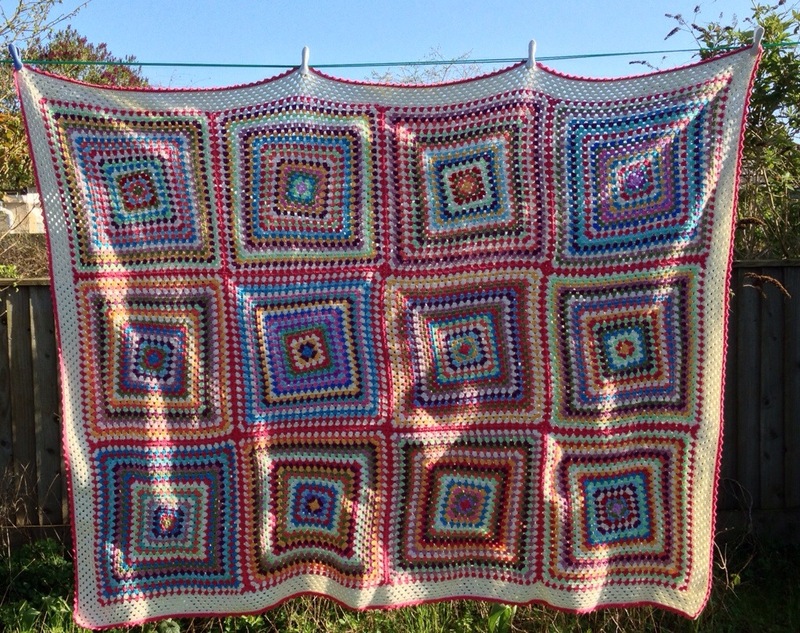 Love the tilty-ness :) Out of interest, do you know roughly how big this blanket is? Yes :-) read the rest of the post – all the details are there. Oops, totally missed that! Feel silly now. No worries, I leave daft comments all the time! The blanket is lovely! I’ve never heard of tilting before, but it’s pretty useful to know. Ha! I will look at my blanket as soon as I am home! So far, I have not noticed any tilting, but maybe there is. Hm … Love your blanket! Love the tilt and that you embraced the difference. Just call it Tipsy Granny :-) I know how you feel when you say HUGE. It took me 7 months to make a never ending granny square CALIFORNIA KING blanket in gray and pink. I loved covering myself up with it as I crocheted row after row. So satisfying! 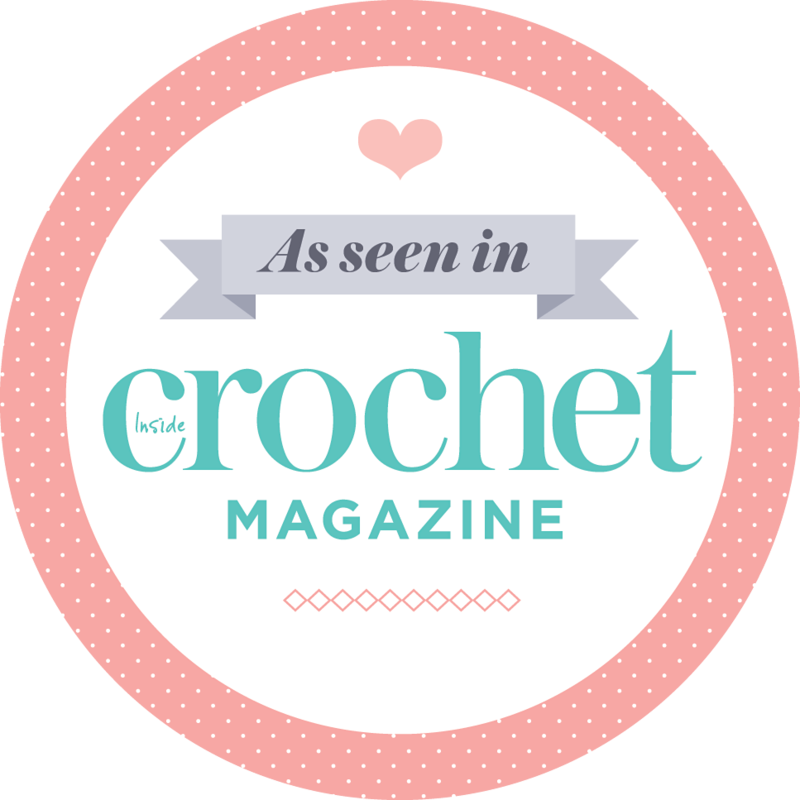 Your crochet is always lovely, and I am a loyal reader thru Bloglovin. Thanks for sharing! It’s officially called the Tilting Squares blanket, which seems to suit it well. I meant huge as in large squares as they’re made up of lots of rounds. It wasn’t too time consuming – luckily I’ve become adept at not having to look down all the time when crocheting this type of granny square. So time flies and the squares grow. Thanks for reading and for your lovely comments.